While VA and SSA disability qualification requirements vary some, many veterans are able to receive monthly support through both programs. Moreover, neither administration considers the income a veteran receives from the other when it comes to determining eligibility or when deciding the amount of monthly benefit payments. In other words, qualifying for Social Security Disability Insurance (SSDI) will not diminish the support you receive from the VA or vice versa. Workers in the U.S. pay Social Security taxes through FICA tax contributions. These taxes fund social insurance programs, including Social Security disability and old age or retirement benefits, among others. Each worker therefore has a work record for Social Security eligibility purposes and that record is what determines if you are an “insured person” under SSA programs. To be insured and therefore potentially eligible for SSDI, you must have a work history of 10 years or longer and between 20 and 40 work credits in your work record. For most American workers, even those in military service, FICA taxes are deducted automatically from each paycheck and work credits come from these taxes, usually accumulating at the rate of four credits per year of employment. 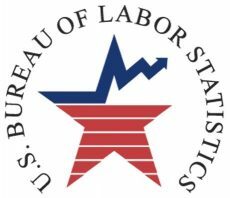 Older workers typically need all 40 work credits to qualify, but younger workers can qualify with a briefer work history. 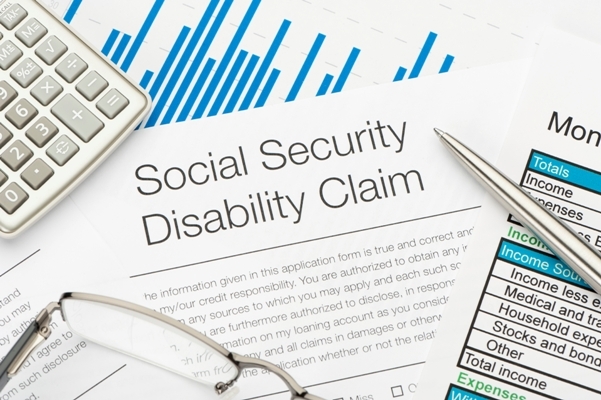 Dependent upon your age at the onset of your disability and the length of your employment history, you may have the credits necessary to be “insured” under Social Security and therefore potentially eligible for SSDI. With the VA, a veteran may be granted benefits even when his or her medical impairment isn’t severe enough to prevent employment. This is thanks to the VA’s disability scale. With SSDI however, a severe impairment that prevents gainful employment is necessary to meet the SSA’s definition of disability. Because the VA’s disability scale is less strict than the SSA’s definition of disability, some veterans are able to qualify medically for VA benefits but not for SSDI. Before knowing if you might be able to receive monthly support through disability insurance though, you’ll need to understand the medical qualification process. When the SSA decides eligibility, they look at how severe your impairment is by comparing your medical records with standard disability listings in the Blue Book. If you meet or closely match a listed condition, then you’re medically qualified for disability. If your medical condition isn’t a match to one of those listed in the Blue Book, you could still be eligible for benefits, though the SSA will need to complete a “residual functional capacity” (RFC) evaluation to decide your eligibility. If approved after an RFC, you’ll be granted disability under a Medical Vocational Allowance, which means you’re unable to work in any job for which you would otherwise be qualified. Whether approved under a standard listing or through an RFC, the SSA must have sufficient medical evidence to approve you for SSDI. The Blue Book doesn’t just contain disability listings. Each section or chapter also has introductory paragraphs that explain how evidence is considered in addition to the records required for the medical eligibility review. Your doctor can help you understand the disability qualification process and the manner in which you’re most likely to be approved for benefits. If the VA has given you a 100% Permanent and Total Disability (100% P&T) rating, then you are automatically eligible for SSDI as well. A 100% P&T rating additionally entitles you to expedited review of your disability insurance claim with the SSA. Before you start your application, be sure to review the SSA’s online resources for veterans, including its webpages on Wounded Warriors and Veterans with 100% P&T Ratings. Utilize the Adult Disability Start Kit as well, which will help you gather necessary documentation for your application. When you’re ready to apply, you may visit the local SSA office or use the online application portal. Either way, be certain to submit your VA disability rating documents as soon as possible, particularly if you qualify for expedited review of your SSDI claim.